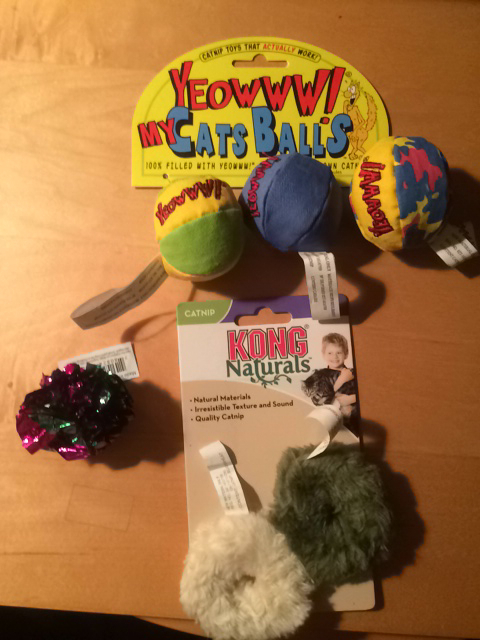 A video of Catty's six toy balls. 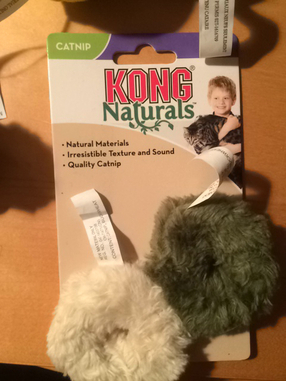 (From Catty: my owner had to help me with this a little). 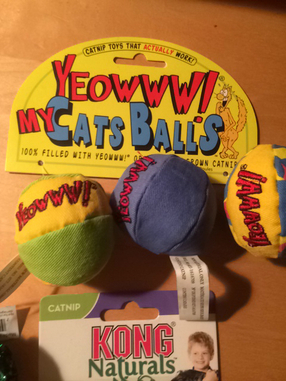 A set of three different cat toys. One has three balls, the other a foil ball, a little crinkled, and lastly two fuzzy catnip discs.